3) Preventing the Denham Amendment from being included in the FAA bill which would limit trucker wages. Deadlines are approaching for 2 of the above major trucker issues. The ELD mandate enforces the Hours of Service rule and the 14 hour clock. The Electronic logging device rule forces truckers to install digital devices in their semi-tractors to track their driving time, ensuring they drive no more than 11 hours a day within a 14-hour workday. Drivers must then be off duty for 10 consecutive hours. There is a problem however. SAFETY. When you pay a driver by the mile, then govern them by a clock, and then have them wait at loading docks for hours and hours without pay, you create unsafe situations. Drivers are now racing the 14 hr HOS clock. 2 Major Deadlines which truckers are aware of and they are APPROACHING SOON. 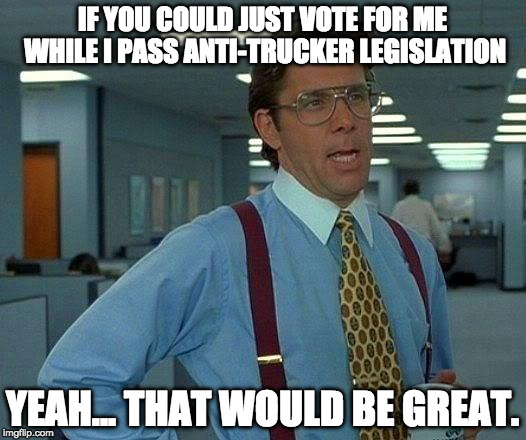 Both are equally important and truckers need to make their voices heard on Both. HOS provisions. To address these requests, FMCSA seeks public input in four specific areas in which the Agency is considering changes: The short-haul HOS limit; the HOS exception for adverse driving conditions; the 30-minute rest break provision; and the sleeper berth rule to allow drivers to split their required time in the sleeper berth. Andrea is also a major force of TruckerNation.org founded by trucker advocate, singer, and songwriter Tony Justice. September 22 public listening session information: The Federal Motor Carrier Safety Administration (FMCSA) will hold a public listening session concerning the revision of current hours-of-service (HOS) regulations on September 22, 2018 from 10:00AM -12:00PM in Reno, NV. 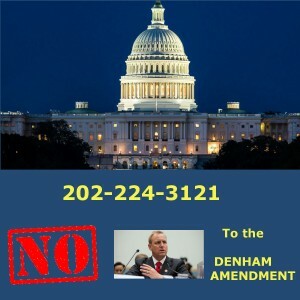 What is the Denham amendment? It is an amendment which would preempt states rights, states who protect employees, including truckers, ensuring they are paid for all time. The ATA has lobbied Congress since 2015 to have this amendment added to different spending bills in order to control truck driver wages and limit their ability to be paid for all time. The Denham amendment, if passed, would preempt state laws and state court decisions, many of which have been on the books for decades. These state laws protect workers, including commercial truck drivers, from being exploited by wage theft. . So where are we now on Deadline #2 for the Denham Amendment? FAA authorizations expires September 30th. 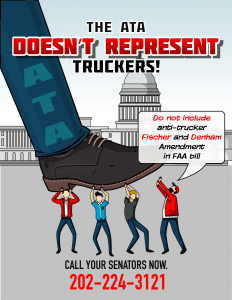 Thousands and thousands of drivers have called their Senators and it has made a difference in the last 5 attempts that the ATA has tried to get this anti-trucker provision passed into law. Although the House has already passed their version of FAA bill, (H.R.4) which Included the Denham Amendment, the Senate is holding out and has not passed their version of the FAA bill. So far, because of YOUR CALLS, they have NOT included Denham Language in their bill. 1) An extension until the end of the year for FAA to give Senate more time to pass it’s version of FAA. 2) Senate passes their version of FAA, but still enacts an extension because there is not enough time to reconcile difference between the House Version of FAA and Senate Version. It’s time drivers. The ATA is NOW pushing hard to members of Congress for #Denahm Amendment against YOU in FAA bill. Trucker Issues are holding up the FAA reauthorization from reaching a final vote so Keep calling!